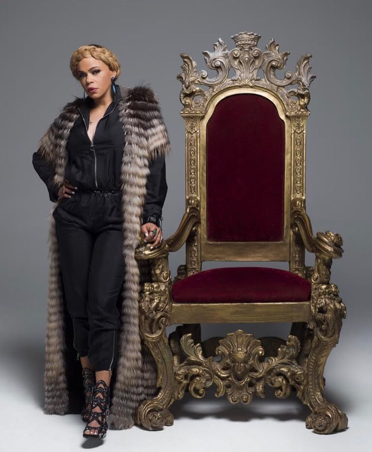 RAW HOLLYWOOD : NEW MUSIC: FAITH EVANS & THE NOTORIOUS B.I.G "TEN WIFE COMMANDMENTS"
NEW MUSIC: FAITH EVANS & THE NOTORIOUS B.I.G "TEN WIFE COMMANDMENTS"
Following the two previously released tracks with rappers Snoop Dogg & Jadakiss the one & only Faith Evans has gifted a new song titled "Ten Wife Commandments". The track is from the album The King & I a duets project with her late husband The Notorious B.I.G. The reworked version is a spin on Biggie's classic "Ten Crack Commandments" & see's Evans sing about the laws of being a phenomenal wife. "Ten Wife Commandments is actually the first song that Faith worked on while crafting The King & I. With 'Ten Crack Commandements' being one of the songs I had always wanted to redo, I found it & got to work." The King & I will features collaborations with Jadakiss, Snoop Dogg, Busta Rhymes, Lil' Kim, & 112 & will be released on May 19th which is just two days before Biggie's birthday.